Come and try it for FREE – Sample Session on May 1. Today, especially in the United States and in Europe, young people perceive Israel in an unfavorable light. Many tend to hold Israel to a double-standard and ignore all the good that Israel provides to the world. Some of Israel’s most notable contributions include innovation in high-tech and medical fields. In recent years, pro-Israel activists have embarked on a mission to brand Israel in a more realistic and favorable image. Using the concept of Research, Plan, Execute and Present, in this session participants will learn about Israel as a startup nation. 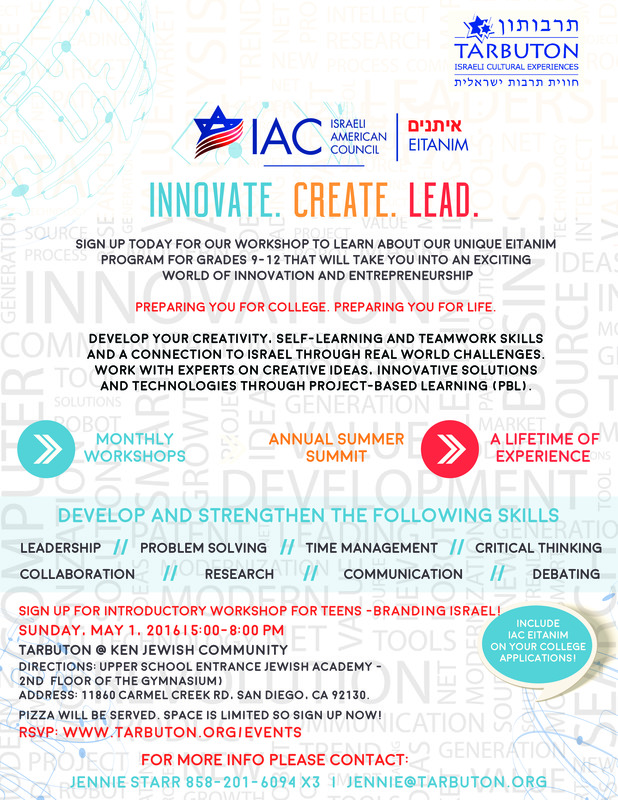 They will research the countless innovations that come out of Israel, discuss target markets and SWOT analysis and then re-brand Israel and pitch their new ideas in a presentation.